Jon Ronson has 1 media appearance. 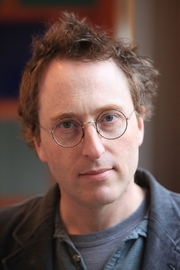 Jon Ronson discusses Them: Adventures with Extremists. THURS, DECEMBER 18TH at 5:30PMWhat’s better than talking about a book with a group of friends? Talk about a book with a group of friends during Happy Hour at Opa (2050 S. Lamar Blvd)! Come hang out with Mandy and Joel the last Thursday of every month at 5:30pm where we'll discuss books over cocktails. This month's book is The Psychopath Test by Jon Ronson. Jon Ronson's book Lost at Sea: The Jon Ronson Mysteries was available from LibraryThing Early Reviewers. Jon Ronson is currently considered a "single author." If one or more works are by a distinct, homonymous authors, go ahead and split the author. Jon Ronson is composed of 2 names. You can examine and separate out names.